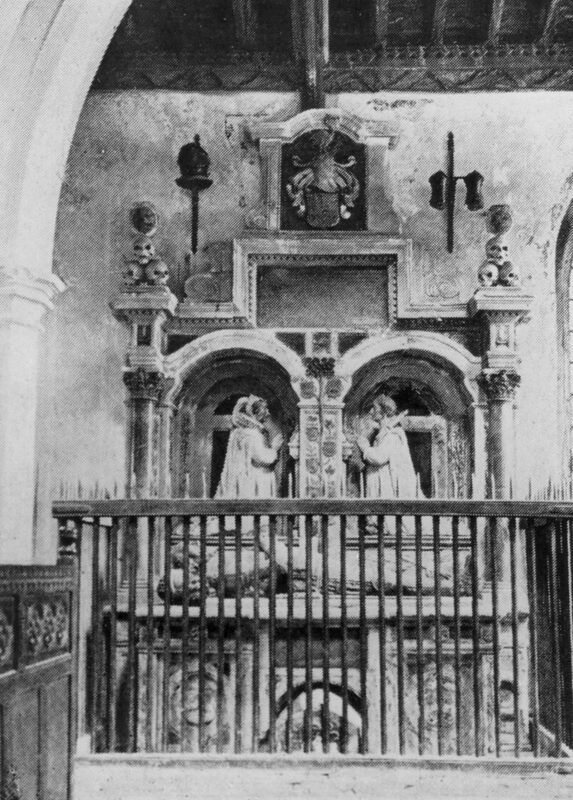 Barnardiston tomb in Kedington church, Suffolk, including Dame Katherine of Witham on the left, her husband Sir Thomas recumbent in front, and Sir Thomas’s first wife on the right. Unless otherwise specified, photos are the copyright of the original photographer. Every effort has been made to contact the owners of the photos or their relatives, to obtain their permission to use their pictures. But I have not always managed to find them, for which I apologise. The photos appear in the order they were catalogued. Use Search to look for photos showing particular people, places etc.